Orange Beach Pontoon Boat Rentals: Orange Beach fun things to do: Paddleboard rental! Orange Beach fun things to do: Paddleboard rental! 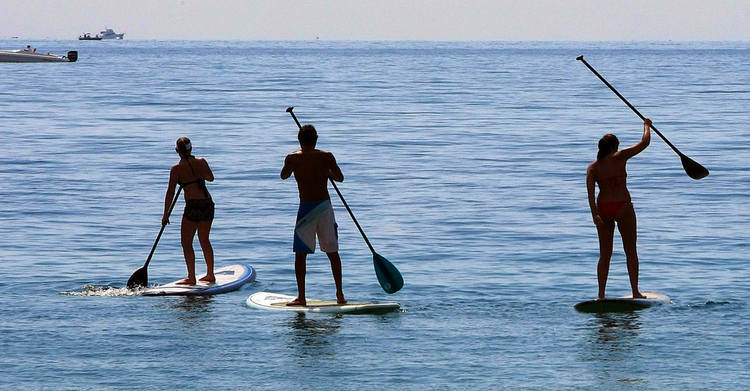 Orange Beach, AL offers lots to enjoy, including stand up paddleboarding! 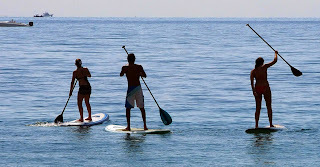 Rent a paddleboard from Gulf Shores Boat Rental and enjoy a fun, easy new way to play on the water. You'll also get to experience more of what the Gulf Coast has to offer. In addition to the beach, where paddleboarding is a blast, Gulf Shores and Orange Beach have millions of acres of beautiful inshore lagoons, canals, and bays – all of which can be explored on a paddleboard. And because you're standing up, you get to enjoy all the amazing views of everything from marine wildlife (including dolphins) to a gorgeous sunset. You can even fish from a paddleboard!